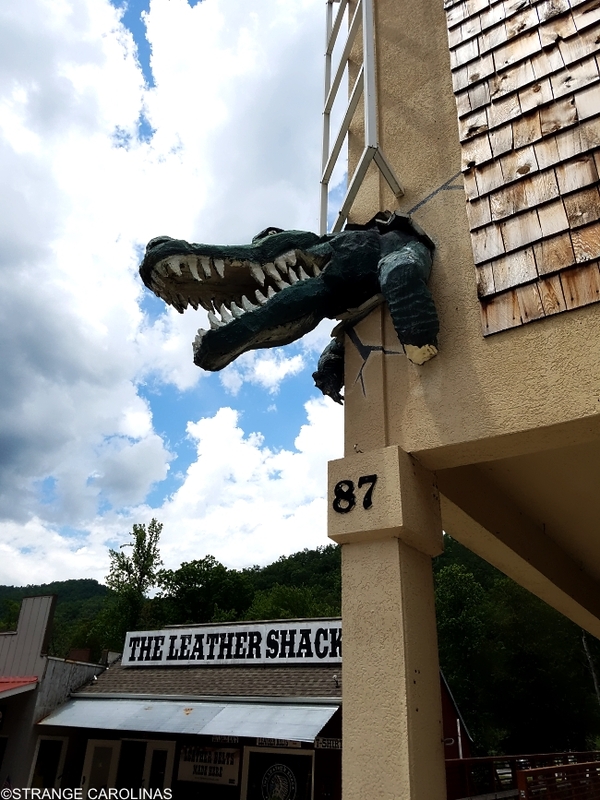 We have no idea what this alligator/crocodile busting out of the wall means. 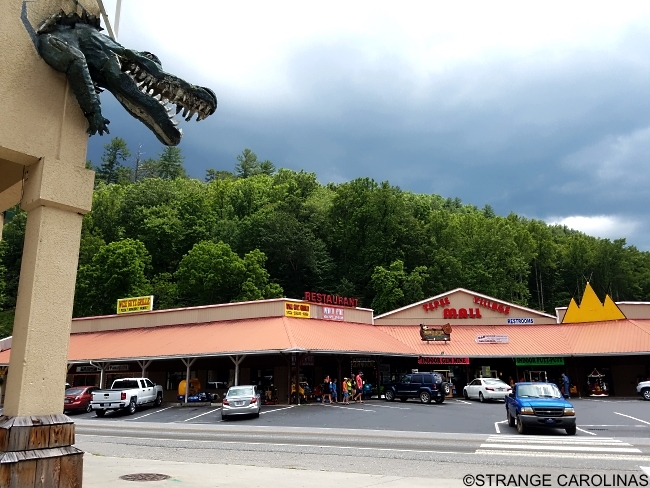 When we visited Cherokee, the business underneath the beast was vacant. It looks like something that would happen in a bad SyFy movie, like a Crocnado came through town or something. Any ideas?